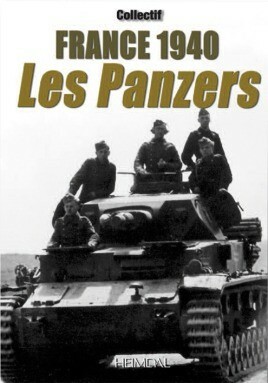 After the success of Jean-Yves Mary's previous works, in particular Les Corridor des Panzers and Zur Küste, it was quite clear that there was still a huge demand for similar high-quality, detailed books on tanks and their important role in World War II. Unfortunately, due to sales rights restrictions, we cannot offer France 1940: Les Panzers for sale in your country. This first volume contains many fantastic colour photographs of the German tanks, their units and their leaders, along with a detailed history of their engagement. Any avid modeller, keen tank enthusiast or general historian will find this an invaluable resource.